A blend of invigorating freshness, enduring energy and aromatic masculinity, BOSS Bottled Unlimited is a motivating vitality boost for personal success beyond limits. 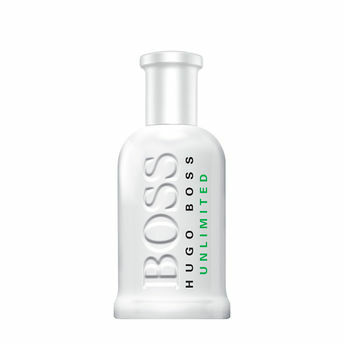 BOSS BOTTLED UNLIMITED Eau de Toilette is inspired by green - the color of freshness - the scent mixes top notes of mint and grapefruit, base notes of sandalwood and musk, and with pineapple and rose at its heart for an aromatic and invigorating power. Explore the entire range of Perfumes (EDT & EDP) available on Nykaa. Shop more Hugo Boss products here.You can browse through the complete world of Hugo Boss Perfumes (EDT & EDP) .Alternatively, you can also find many more products from the BOSS Bottled Unlimited Eau De Toilette range.